Advocates of the captive Ukrainian pilot and MP, Nadiya Savchenko, are preparing for hearings on the merits [of the case], which will begin on Tuesday in Donetsk city court, Rostov region [Russia]. Savchenko’s lawyer Mark Feygin informed Ukrinform of this. “Tomorrow’s session, which is to begin at 11:00 am, will be attended by all three of Nadiya Savchenko’s lawyers. One of the main intrigues of the first session – [is] who will be on the panel of three judges. Much will depend on its composition and the behavior of the judges,” –stated Feygin. He said that in Donetsk city court there are only three judges in general – the Chief Justice Ali Khaibulaev, a judge for criminal cases, Leonid Stepanenko who led the previous session, and a civil case judge Eugene Chernish. A possible option is that they will form the panel, but then the city court will have to stop work on other cases for some time. So it’s likely that they will send someone “to enhance” [the panel] from Rostov. Tomorrow’s session will set the order of evidence. By law, it takes the accusations first, then – the defense. However, the lawyers will petition for Savchenko to be questioned as soon as possible. “Nadiya is ready for this examination and wants it. Her performance at the beginning of the process – [is] our tactical move. We want to deprive the prosecution’s allegations of at least some appearance of truthfulness,” Feygin explained. In addition, Savchenko’s lawyers insist on questioning the current and former leaders of the “LNR” [“Luhansk People’s Republic”] Igor Plotnitsky and Valery Bolotov. Mark Feygin said that tomorrow’s session will be open, it will be attended by diplomats and journalists, and Vira Savchenko [Nadiya’s sister]. 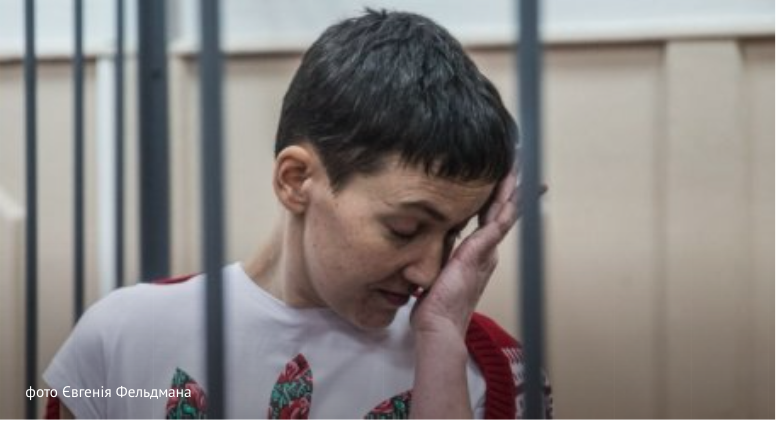 Recall that Russia accused Savchenko of “murder” and “attempted murder.” The Ukrainian pilot and prisoner denies all the charges, since last summer’s terrorist force [kidnapped and] transported her to Russia and handed her over to law enforcement there. This entry was posted in #Free Savchenko, English, English News, Pictures, War in Donbas and tagged #FreeAfanasyev, #FreeChigoyz, #FreeDegermendzhy, #FreeKarpyuk, #FreeKlykh, #freekohver, #FreeKolchenko, #FreeKostenko, #FreeLitvinov, #FreeSavchenko, #freesentsov, #RussiaInvadedUkraine, #StopRussianAggression, #UkraineUnder Attack, Kremlin, Russia. Bookmark the permalink.